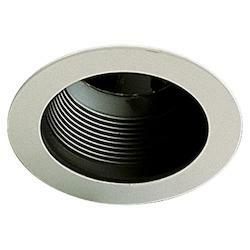 Minka-Lavery 1730 Series Recess Trim 6 In. 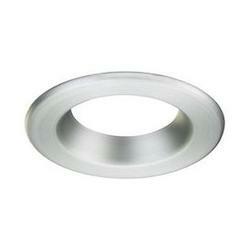 Minka-Lavery Marche Recess Trim 6 In. To give your house a new decorative and illuminated look, We Got Lites has a wide range of recessed lighting products for you to chose from. Whether you are looking to accent your room with a certain color of lighting or to highlight certain features in your home creatively, recessed lighting can be an ideal option for you. 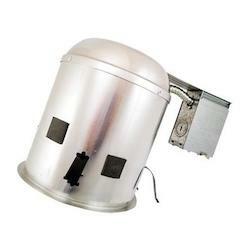 If you’re looking for top quality lighting products to give your home an elegant layout using recessed lights trims, trim rings, trim covers, cans and much more, we have the best options at incredibly low prices that you don’t want to miss out on. 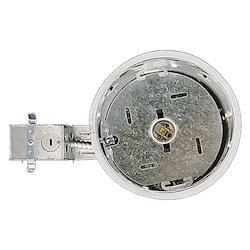 Our recessed lights and fixtures are available in a huge variety of options based on size, brand, style, color, the number of bulbs, type of bulb, designs and favorable prices that won’t leave a dent in your wallet during your retrofit, remodeling or construction project. 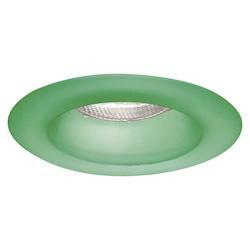 Browse through our product categories and discover the various options of recessed lighting We Got Lites has in store for you at amazingly impressive prices. 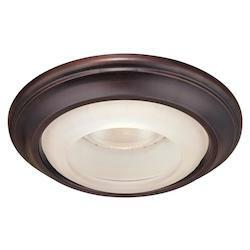 Regardless of the design or style of your home, recessed lighting can be ideal for various interior and exterior spaces. For exterior spaces like the porch, for instance, there are various ways you can transform this space and give it a marvelous, striking look and feel. Especially for traditional houses, adding recessed lighting features such as recessed ceiling lights, spotlights or recessed wall lights can make the front door look more appealing, possibly even increasing the value of your property. Recessed down lights placed in areas such as cantilevered floors or even recessed spot lights can transform the outdoor space of your home into a paradise of illumination, especially at night when the light is needed most. 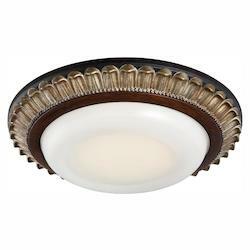 For interior home spaces, on the other hand, there are numerous options of recessed wall light fixtures and recessed ceiling light fixtures that you can use to transform your bedroom, bathroom, dining room, study room, living room or the hallway to create an elegant unique look. For instance, there is bedroom-recessed lighting that you can use to change or refresh the mood in your bedroom, just like colors, themes and decorations can transform feelings. 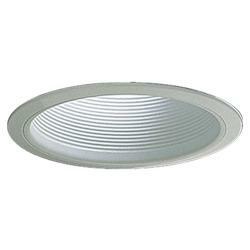 In short, recessed lights can be placed on the ground, ceiling, or walls of rooms as well as interior and exterior spaces without much worry about the resulting appeal. 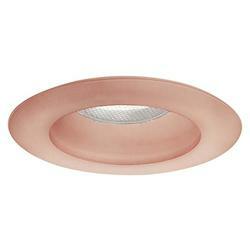 Another important thing to consider before buying recessed lighting fixtures is the finish / color. First and foremost, you want to create a great curb appeal in your outdoor settings, which will be done by matching your lighting features with the rest of the outdoor features. 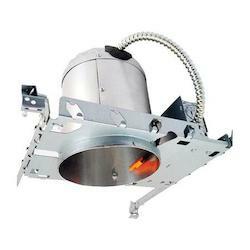 Additionally, you want a recessed lighting unit that will look good for a long time without fading, rusting or tarnishing easily. 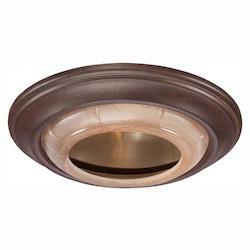 In this case, some of the most common finish options for recessed lighting include bronze, nickel, chrome, brass, silver, steel, wood, patina iron, copper and aluminum. You can also get them in a wide variety of colors at wegotlites.com, including white, black, clear, gray, yellow, pink, brown, red and green. 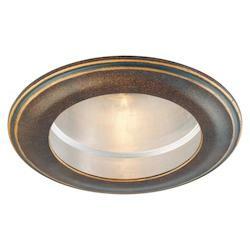 Easily select recessed lights of your desired finish or color from wegotlites.com. Match your lighting with the rest of your interior or outdoor decor pieces without strain. Get recessed lighting at amazingly affordable prices from your dependable e-store for great lighting features, fixtures and fittings. Adjustable Trims - Just like the name suggests, adjustable trim recessed lights are the versions that give the user the convenience of positioning the bulb as per their preferences since the bulb is designed to flat out of the housing. 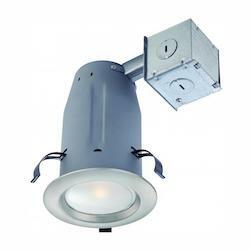 From accent lighting, general, wall or task lighting, adjustable trim recessed lighting fixtures have a wide range of applications. They are highly preferred for this versatility. 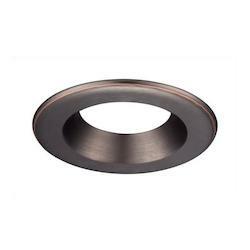 Baffle Trim - For placement in living rooms, dining rooms, study rooms, bedrooms and similar, baffLEDtrim recessed lighting can be the best option. 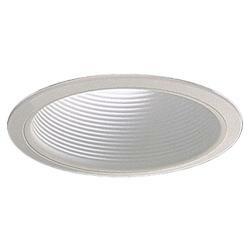 This is why baffle trim versions are the most popular option of recessed lighting. 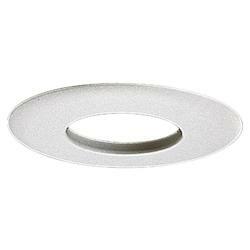 Mostly available in black and white colors, baffles help in reducing the glare in lighting, especially when used as ceiling recessed lighting. 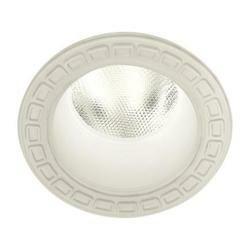 Excess light is absorbed by the large uniform grooves featured on the trim. 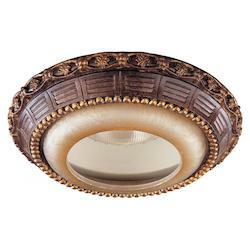 Decorative Trims - Decorative trims are ceiling-mounted and have gained quite some popularity over the past few years. 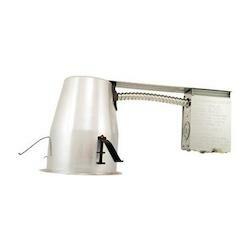 In most cases, decorative trims make use of a halogen bulb that is energy efficient. 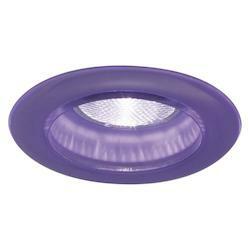 They give a pleasant look and can be used in different rooms to provide ambient and additional lighting. Lensed Trims - In most cases, lensed trims are perfect in areas such as bathrooms, showers and some outdoor spaces. They are designed to have insulation for the bulb, to protect it from the harmful effects of moisture or water in places where they’re installed. 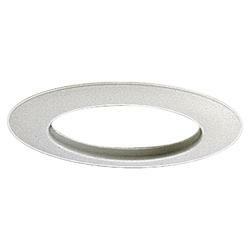 Reflector Trim - For commercial settings or residential settings in kitchens and high ceilings, reflector trim recessed lights are highly ideal. The name reflector refers to the polished interior of the housing that magnifies and reflects the light that the bulb produces. 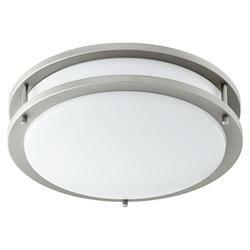 Wall-Washed Trims - These are modern recessed lighting fixtures that combine directional reflectors with light scoops that direct the light towards a wall. They mostly use CFLs or A-lamps and can bring out an amazing look and feel in commercial as well as residential settings. Even though you are looking for a high-quality lighting unit that will provide your desired lighting intensity, quality, convenience and reliability, it doesn’t have to cost a fortune. 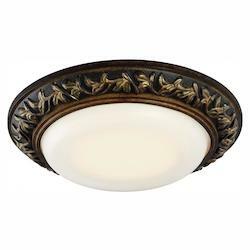 As it is with any other type of shopping, the price is an important consideration to make before choosing or buying a certain kind of recessed lighting for your home or commercial setting. 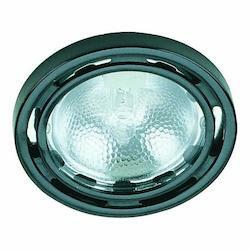 Due to differences in material, finish, size, design, shape and brand, among other factors, prices change for different types of recessed lighting products. Most importantly, the prices will change in different stores online. 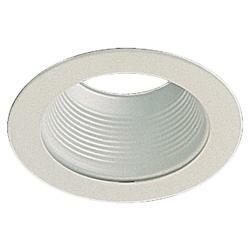 Having collaborated with some of the most reputed brands in the lighting industry, wegotlites.com brings you the best quality recessed lights at the best rates the market has to offer. At wegotlites.com, we have something for everyone regardless of budget limitations. 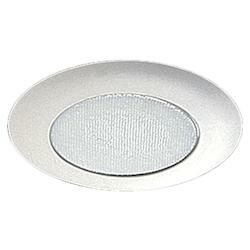 Search amazing recessed lights based on price from as little as $99. Utilize our discounted offers and coupons by getting in contact with us from the popup chat at the bottom-left section of the site on your screen. Buy affordable, high-quality lighting fixtures and accessories at amazingly fair prices that you won’t find elsewhere online. 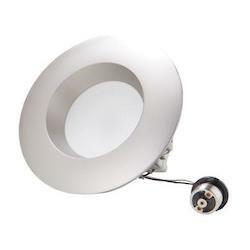 Want to buy lighting products that are currently on sale? Get them cheap at amazing discounts from wegotlites.com without strain on you or your wallet. 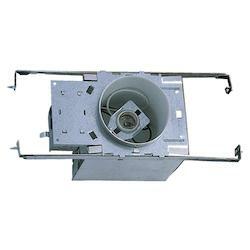 You can also pick recessed track lighting and other recessed lighting units based on the number of lights, basically from 1to 85. 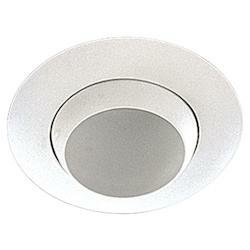 The brand is an important consideration when choosing recessed lighting fixtures such as recessed can lights. 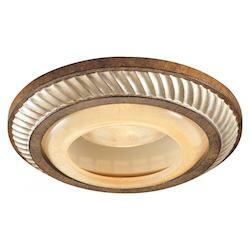 Depending on the brand, recessed lights pricing can vary. 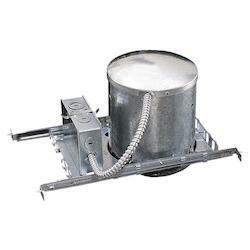 They also differ in terms of quality, durability reputation, as well as the features they come with, including small inclusions such as installing manuals for those who love doing DYI. Some of our popular featured brands include Sea Gull, Quorum, Maxim, Designers Fountain, American Lighting, Juno and Dainolite, just to mention a few. 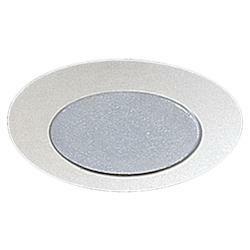 Easily pick quality-recessed lights from some of the best and most reputable brands in the market from wegotlites.com. Match your lighting with the rest of your interior or outdoor decor pieces without strain. Rest assured of versatile lighting, reliable support service, and the best deals from our online store. 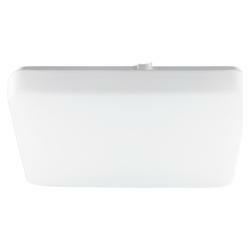 Get high-end dimmable and adjustable recessed lighting units at amazingly cheap prices from your reliable lighting products e-store. 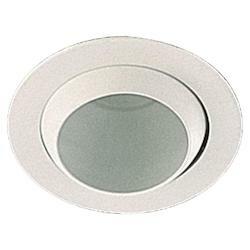 Some of our most popular collections include the Effetre Glass Trims, CounterMax MX-LD-D, Recessed Lighting, LED Recessed, Inch Recessed Trims, LED Housing, LEDme Multiple Spots, Traverse LED and LED Recessed Retrofit, Inch Recess Trims, E-Pro LED Downlight Collection, LED Retrofit Trim, Tesla 2", Tesla 3.5", Xeno, 1730 Series, Aston Court, Bantry, Bright Disc, Cubix, Duchess, Effetre Trims, Empress, Illuminati, Irix, Princess, and Trim, among others. Bulb type is an important determinant of quality and dispersion of light. Some types of bulbs use up more energy than others, whereas others produce a more stable light. Light bulbs are also rated based on the amount of heat they produce, and whether or not they produce light that is evenly distributed in the room. Some bulb types can only produce colored light of certain colors. When it comes to recess lighting, making your decision is no different than when choosing other types of lighting fixtures in terms of the bulb types. Some of the most common options by bulb type include led, halogen, and fluorescent recessed lighting. 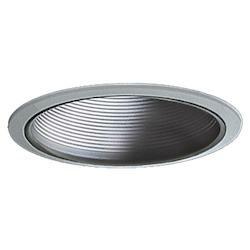 In essence, recessed LED lighting is the most favorable in terms of light quality, energy efficiency, and overall cost, even though their initial purchase cost may seem rather high. 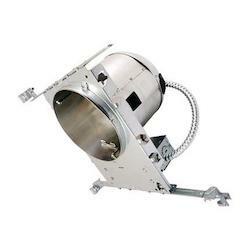 These are followed by recessed fluorescent lights, which are in turn followed by recessed halogen lighting. 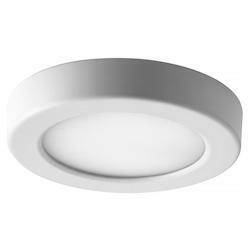 By using low voltage LED recessed lighting, you keep the energy bills down for your home or commercial premises, since these lights consume quite a low amount of energy but produce some form of reliable light indeed. 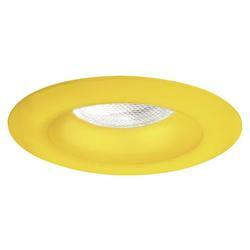 When looking for the best LED, halogen, and fluorescent recessed lights online, Wegotlites.com is your best place to try. 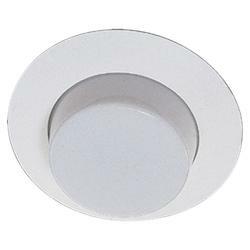 Get LED recessed light fixtures, or recessed LED spotlights and other recessed light types by bulb type at affordable prices that beat the rest of the online market easily. Utilize our coupons and discount offers from our live support section located at the left bottom section of the website. 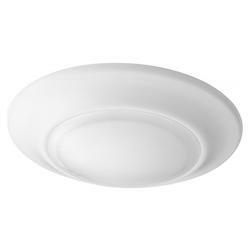 Regardless of whether you want them mounted on the wall, ceiling, ground, or staircase, size is one of the most important features to consider when choosing recessed lighting. This is because they are available in a wide range of sizes, and the size of light you choose will have an impact on light intensity, illumination quality, and space consumed. You do not want to use up all the space on your lighting and deny other decoration features a place to lie on. 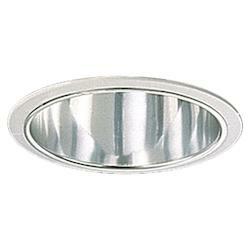 You also do not want to choose a recessed light that is too small for the ideal amount of illumination to be produced. When choosing recessed lights by size, consider the measurements of the available installation space and the area where lighting is needed; then compare this with the lamp’s width, height, and depth measurements in inches before buying. 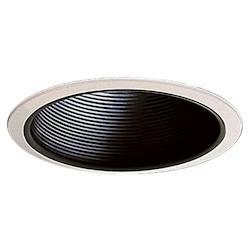 Once you determine your desired size, select other search criteria and pick the right recessed lighting measurements in terms of W x H x D, which can be up to 68 X 81 and 42-inches on Wegotlites.com. We have a wide range of recessed lighting fixtures in terms of size and other criteria to choose from. By this, we ensure everyone gets their preferred product for their convenience and satisfaction. Most importantly, our recessed lighting trims, fixtures, fittings, and replacement parts are available at the best prices in the market; not forgetting the availability of discounts, coupons, and hot deals on select products in store such as the popular 4 LED recessed lighting. Why Buy Recessed Lighting Fixtures From WeGotLites.com? 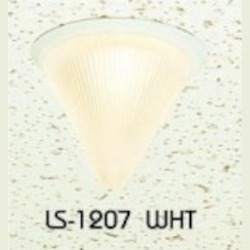 Easily select recessed lights of your desired finish, color, brand, size, bulb type, design, the number of lights, and such from Wegotlites.com. Match your lighting with the rest of your interior or outdoor decor pieces without strain. Get recessed lighting at amazingly affordable prices from your dependable e-store for reliable lighting features, fixtures and fittings. Most of all; utilize our coupons and sale deals from the bottom-left section of our website and save on your lighting purchases today.